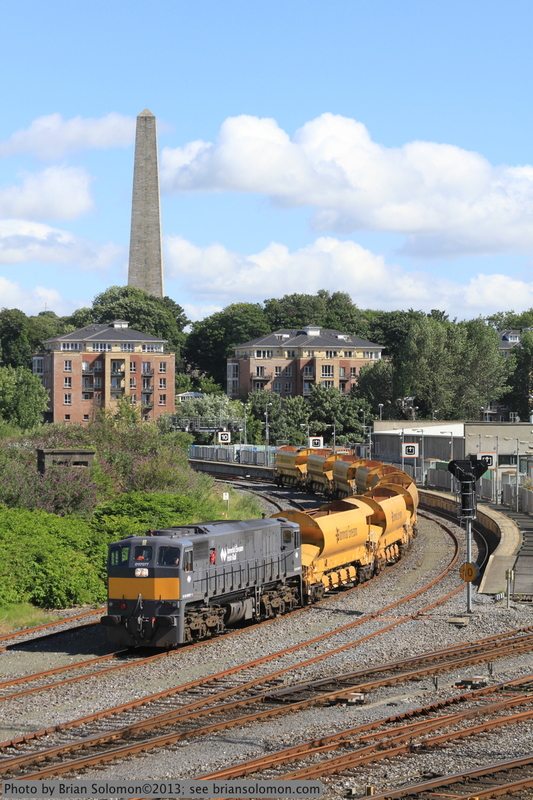 Irish Rail 077 leads the empty HOBS at Islandbridge Junction on August 2, 2013. The iconic Wellington Testimonial in Dublin’s Phoenix Park looms above the train. Canon EOS 7D photo. Gray class 071 on a Irish Rail ballast train.